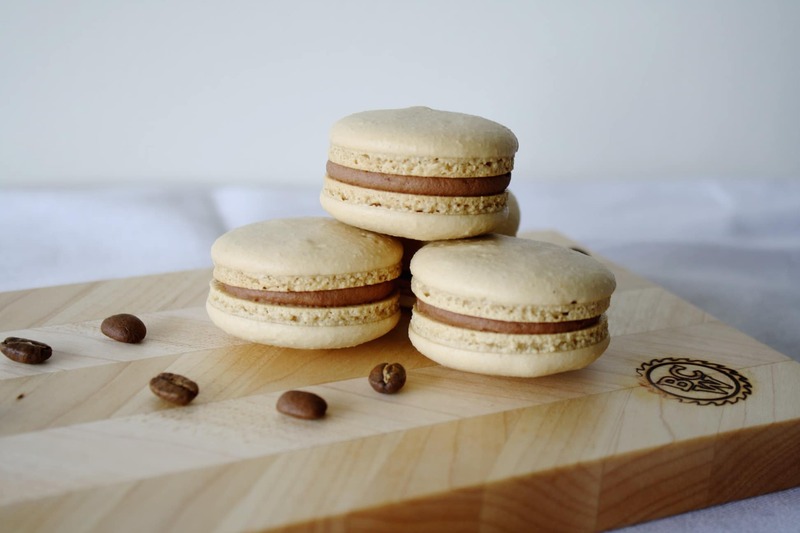 The perfect combination of Coffee & Baileys in macaron form. 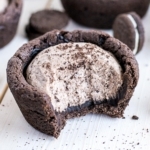 Light-as-air cookies with a Baileys chocolate ganache. Once I felt pretty comfortable with the chocolate macarons it was time to start trying different combinations. In my opinion one of the best flavour combos out there is coffee & Baileys. SO delicious. Especially in the winter time when it’s cold outside. Yum. I wanted to start experimenting with different flavours of shells. I had a recipe for chocolate macarons, but had to adapt it to a coffee flavour… if I take out the cocoa powder, do I add more almond powder or icing sugar? Do I add the same amount of espresso powder as cocoa? That would be way too intense…hmmm. I actually ended up leaving all of the ingredient amounts the same except I took out the cocoa powder and added espresso powder…not 1 for 1 though! I also doubled the recipe entirely as the original recipe only makes 10-12 cookies. Ten cookies will last about a day around here. The coffee cookies turned out delicious and the milk chocolate Baileys ganache was a perfect pairing. 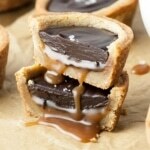 You can make these with dark chocolate instead, but I like the sweetness of the milk with the Baileys. You definitely can’t have just one. At least I can’t! Place the almond powder, icing sugar, and espresso powder in a food processor. Process until just beginning to clump. Whip the egg whites until they're the consistency of a loose foam. Continue whipping while slowly adding sugar. Whip to a stiff meringue. 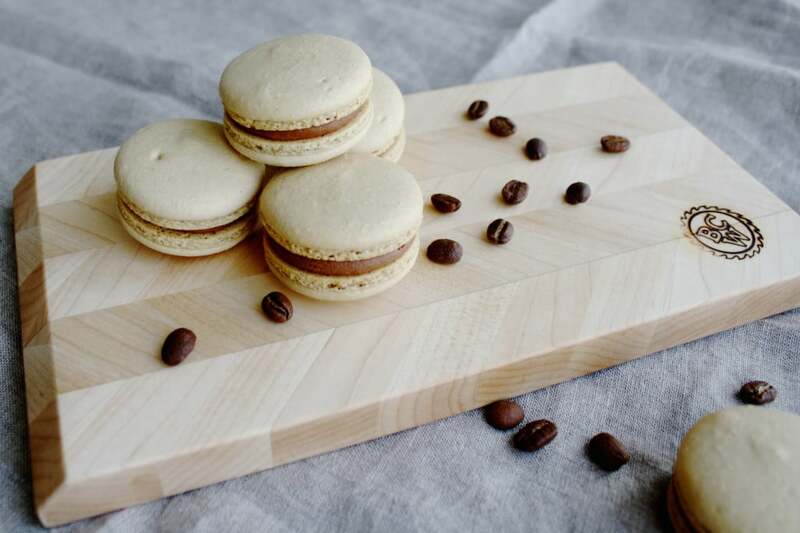 Pipe the macarons onto your baking sheet. While macarons are drying, make the ganache. *I create a parchment template using a 1 1/2" cookie cutter to create circles and place it under my silpat mat. *** Do not be shy with the whacking! I took a macaron class with a friend a few months ago (4 people working together per station), but this was my first attempt at actually making them on my own. All in all, they turned out fantastic! I didn’t have a big enough piping bag, which meant the batter got worked more as I filled additional bags. I was already bordering on overworked, so the ones from the latter bags didn’t rise like they should have. They were still nice and chewy and crisp on the outside, just a little flat. Totally my fault though. The chocolate, coffee, Bailey’s combo was amazing! Will definitely make this one again. Is baileys a creamer or…?? Hi Marlene! It’s a liqueur. Hi Fran! Are you transporting them yourself? I don’t recommend shipping them. They will be fine for a week in the fridge or freezer. However, wanted to know if Macrons has to be soft when eating it. As mine turned to be a bit crispy (probably baked a bit more). Hi Roma! 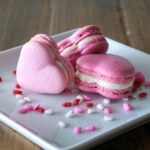 Macarons soften over time. Ideally they should be refrigerate with the filling for 24hours or more before eating. Letting the filled macaron set at room temperature 24 hours will soften the meringue. These are amazing! I couldn’t find espresso powder so for my first batch I used a really rich hot chocolate. They were still delicious. But I got some espresso powder from my neighbor and wow what a difference! This recipe is definitely a keeper! I have made a ganache from another macaron recipe before and ratios were all off. This ganache was perfect! As this is literally my 20th attempt at macarons(some successful, some not), what I have learned along the way is you have to deflate the meringue, don’t be too delicate with it. I did this a lot in the beginning and they kept cracking. Also I find the temperature in your house is more important than the humidity percentage. I live in MN so I’m sure 98% humidity here is different than 98% in FL but I have found that if the inside of my house is @78 degrees they dry properly. So even when it’s 98% humidity(according to my phone) they still come out fine. I also started using a hair dryer to dry them. I bang them on the counter and use a toothpick to poke at the air bubbles. I also use eggs whites in a carton from Costco and have found they work just as well as egg whites and I don’t have to separate the eggs and waste all the yokes. I will check out your other recipes Olivia thank you! Hi Dede! I’m so happy to hear that you liked these, and that the ganache worked well for you :). Interesting about the temperature of your place rather than humidity — I’ll have to keep that in mind next time. Drying the macarons on the stove under the vent for 10 – 15 minutes/dry to the touch, works well. 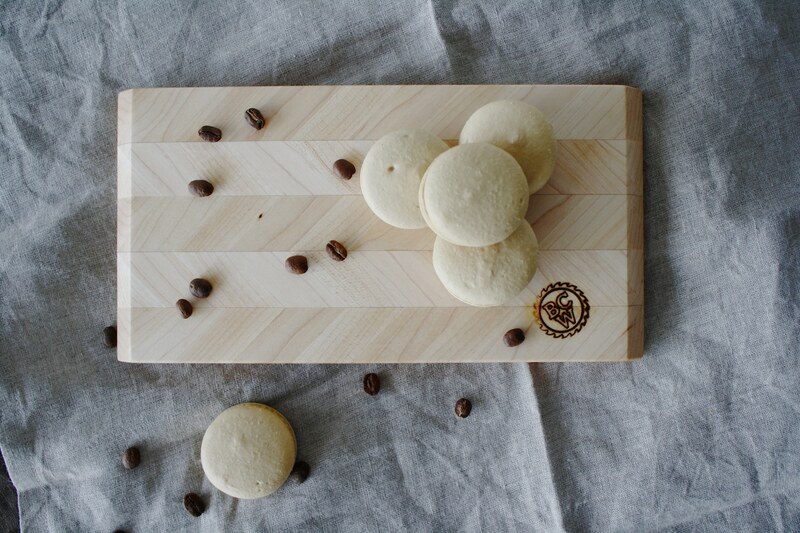 Cool baked macarons in the freezer for easy removal from parthment or a silicon mat. Thanks for the tips Jeanne! I love the taste of these!! Sadly, even after forming the shell during drying for almost 90 minutes, they nearly all cracked.. Of well! At least they taste delicious! How long should I have left them out? Ugh, I’m sorry to hear that. Was it a particularly rainy or humid day when you made them? I know I’ve had trouble with cracked macarons due to the weather. I’ve had to leave them out for over 3 hours at times to dry. I’m so glad you liked them, regardless. It’s the taste that matters!! Hi, I’m unclear on what you mean by “until they stick a bit to the pan” when it comes to how long to bake them. Isn’t it a bad idea to keep opening the oven? Also, aren’t you taking a chance of ruining several of them by poking at them to see if they stick? 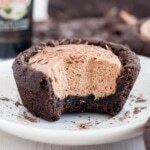 I am dying to try these but would love a clearer description of how to tell if they are done. Hi, do you age your egg whites? Hi Donna! I don’t due to laziness, it’s supposed to be good practice though. will i have any issues with the shells sitting out too long if i double or triple this recipe? Hi Dustin! I’m not totally sure what you mean, but it shouldn’t be a problem to leave the shells sitting out for a while — I often have them sitting out for an hour to dry. I don’t have a piping bag or tip. Would this work with just a ziplock with the corner clipped? If so, how big should the hole be? Hi Lindsay! They wouldn’t pipe into nice, round circles using a ziploc, but you can give it a try. Maybe 1/2″ for the hole. Do you need to “age” the egg whites? Hi Annsay! I’ve never aged mine (too impatient), but it is supposed to help with your meringue. The protein separates out and the meringues are more stable when whisking. Easy to age – weigh out The whites 24 hours before baking; cover with plastic wrap pierces with several holes. Leave out at room temperature and they will be sufficiently aged for use the following day. I’ve also aged the measured whites up to 5 days, in the refirdg. Hi Beth! I’m so glad these turned out for you! Macarons are no small feat, so huge kudos considering it was only your second time. Regarding the ganache — I kinda pipe a little dollop on top (not to the edges) then squish them together. More often than not though, some are over/underfilled. If they look underfilled, sometimes I would separate the cookies and add a bit more; overfilled I wouldn’t squish down so much. This probably doesn’t really answer your question, but it’s how I work around the imperfections :). I am excited to try these, bought a scale and everything. Do you prefer to use a silicon mat or parchment paper ? I hear different things. Just came across your recipe on pinterest, and I thought: wow, I should totally try this. I had never made macarons before and I knew they could be tricky, but they turned out to be perfect! Thanks a lot :). Hi Tessa! I’m so glad you liked these! And that they turned out :). Do you have a recipe for basic vanilla macarons? I love yours but want to get a plain recipe down so I can change in/add flavors from there. Hi Courtney! I don’t have one specifically, but you can just leave the espresso powder out if you want plain ones :). Does altitude cause problems? 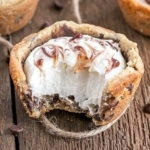 I tried these today and the cookies didn’t get that nice rough rim and the top cracked. 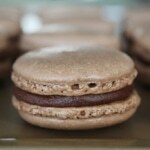 We can bet nice macaron here in Calgary si I know it’s doable! The ganache is quite runny after 2 hr in the fridge. Should I have used heavy cream rather than coffee cream? The cookies are still very tasty and they will be lovely dipped in the ganache sauce! Hi Jill! Altitude could for sure cause issues, as could humidity, but it sounds like maybe overmixing could have been the culprit? Or maybe, weren’t dry enough before going into the oven? And yes, heavy cream would work better I think! It should not be too runny, but not super thick either. Soft, but pipeable :). Hi everyone, nope not that good so far haha.. as soon as I put my mixture into the meringue, it all went watery! Will try again but hope this helps. did conversion of g into tsp.. its a pain in the but but its precise. Hi! At a quick glance, I think your sugar amount is too high. 1 cup of sugar is about 200g… I can’t guarantee the results with your measurements, but I hope they work out! 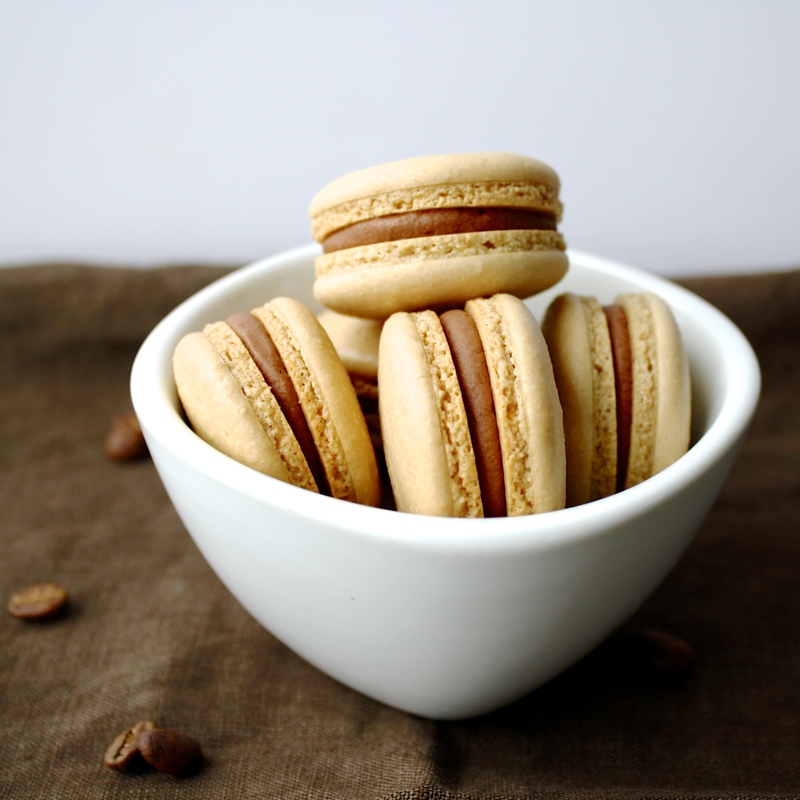 I LOVE Baileys and I’ve always wanted to try making macaroons, which is a little scary because I do struggle with egg whites … I’m still determined to try it one day. Only problem is that I’m allergic to almonds. Is there something I can use instead of almond meal? Hi Amanda! You can use any other nut flour/powder such as hazelnut or pistachio. I hope you try them! I’ve made macarons twice now with very good success but I’d like them to be whiter not more a cappicino colour when baked…I have done one batch with convection at 290f and the other (at another time) @320f on regular bake with the same results.Do you have any suggestions to keep them lighter in colour . Hi just wondering what percent of cream is used for these?Also can only parchment paper be used or is it better for these finicky cookies to be on a silpat mat? Hi Emma! It looks like the whipping cream I use is 8% fat, which seems low actually. As long as you use any kind of heavy cream or whipping cream for this (not half and half), you’ll be fine! 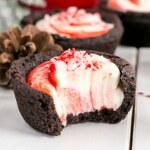 You can totally use parchment for these! The bottoms of the macs may end up a bit rippled due to the resting time on the paper, but it will work perfectly fine. They’re actually easier to remove from parchment as well. Hope that helps! Please let me know how they turn out for you :). The ganache is yummy but turned out very runny….any suggestions on how to get it to a thicker consistency? Hi San! The ganache should not be runny at all. Did you let it sit in the fridge? Yes, it sat in the fridge overnight. Was it possibly our conversions? We did 1/2 cup of the cream, 1 cup of the chocolate, and we used Rumchata instead of Baileys….could that be the problem? If so, is there anything we can add to get it thicker? It is not as runny as it was last night, but will still definitely not thick enough for the macarons. Hmm, I suspect it was the conversion — 100g of cream is less than 1/2 cup (it’s approx 100ml) and I don’t know exactly how many grams your 1 cup of chocolate was (was it chopped? or chocolate chips?). How much of the Rumchata did you use? I would recommend either using more chocolate or less cream next time to ensure the ratio is better :). Could you do the ganache with white chocolate instead? Hi Gillian, yep! That would work fine. Hi, i was wondering do you add the sugar to the meringue dry or do you need to heat it to certain temp? Hi Kim, This is the French method for making macarons so you add the dry sugar to the whipped egg whites. The Italian method calls for heating sugar to a certain temp. Hi Cheryl! Yes, same thing basically. You just want to make sure the almonds are very finely ground! Hi Chun, macarons are so finicky! Glad they worked out for you and that you’re going to keep trying! Because this recipe is in grams, it’s really easy to modify. If you want just 10-12 macarons, cut the recipe in half :). I just wanted to let you know that your macarons are BOMB! They are so pretty too! Did they come out full on the inside for you? Thanks Annie!! Macarons are so tricky. SOMEtimes they come out full, sometimes not. Sometimes they crack, sometimes perfectly smooth. They are very temperamental! 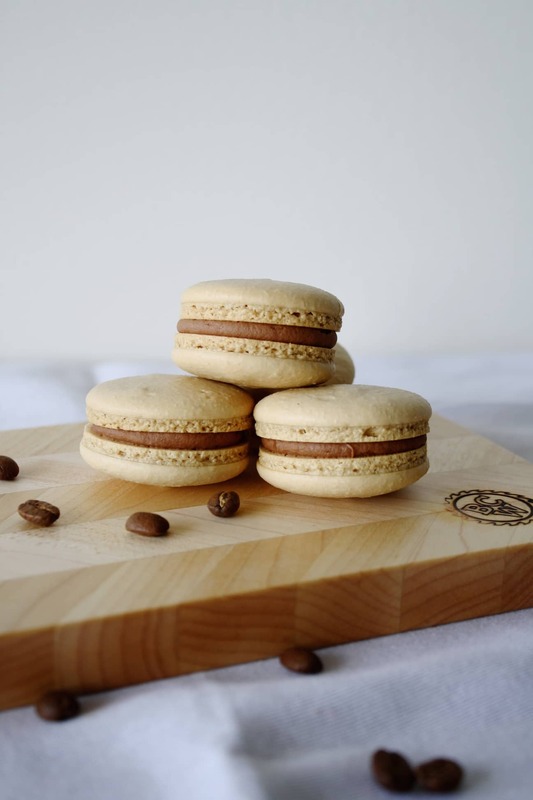 I have yet to make macarons….and these sound wonderful. Will print and put in my “to make” pile!! Thanks!! Oh my goodness! These look amazing Olivia! These are absolutely gorgeous! Mine never turn out so perfect! Definitely going to try again with this recipe! Thanks Jennifer! I struggle with these too sometimes, they’re so finicky! I made these 3 times and the first 2 were a total flop! Could you please put these measurements in cups, ml or oz. This conversion is impossible – I have been working on it for 2 hours and my meringue won’t peak. I have no way of knowing if I have the proper amount because the conversion of such small grammage doesn’t give me precise answers. Hi Jaimee, sorry to hear that you’ve been having problems with the meringue! 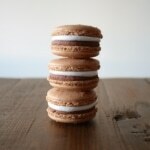 Macarons are incredibly finicky and the measurements need to be precise which is why I use a food scale and grams. That’s the only way to ensure you have the exact amounts needed. Here is a rough translation of the quantities to oz, though I can’t guarantee results as I’ve only ever used grams. You’d still need a food scale to weigh out the ingredients. Converting to cups is difficult because you’d need something like 0.65 cups of sugar, etc so it would be hard to eyeball. All that being said, one of the biggest culprits that prevents meringue from whipping is grease. Make sure your mixer and whisk are completely grease free and that there is no trace of egg yolk with your whites. Add in the sugar slowly as well while whipping. If your meringue won’t peak, it has nothing to do with the weights. You likely had some fat introduced (either a bit of egg yolk, or the bowl/beaters had some residual fat/oil/butter on them). If there is even a spec of fat in your whites, they won’t make meringue, no matter how long you beat them. You should invest in a kitchen scale. My kitchen scale measures in grams and ounces and I measure everything in grams and it always turns out great. Also I have found the Italian method is a lot more stable. But that method requires a candy thermometer.